The statistic illustrates NJ Transit's passenger miles in the fiscal year of 2017, with a breakdown by transit type. 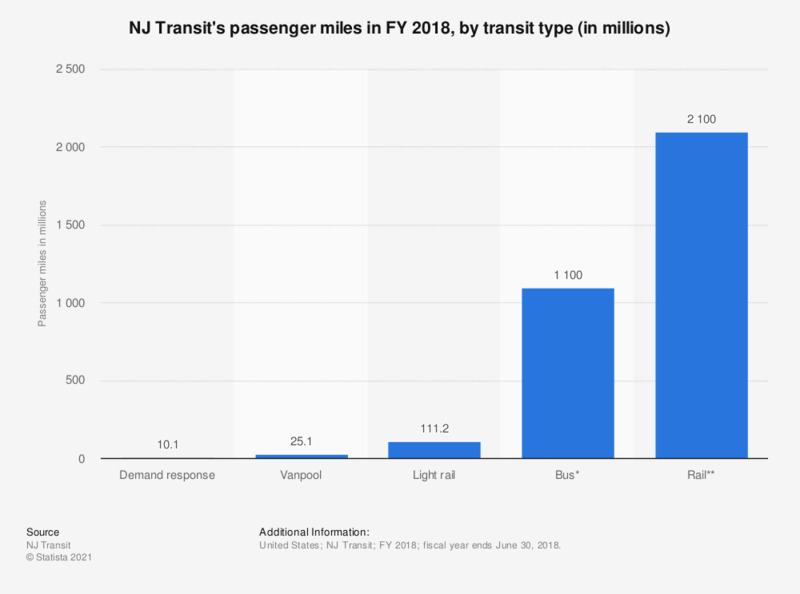 In that year, NJ Transit reported around 1.2 billion passenger miles from its bus lines' operations. * Includes NJ Transit bus and contract carrier data. ** Includes Metro North West of Hudson Service data. Values were rounded by the source. Fiscal year ends June 30, 2017.